While 2015 is almost half over, there are numerous people in the tech world that are still waiting for the list of the new gadgets and technologies that are yet to hit the market this year. Based on the existing studies and reports, 2015 looks like a big year for a quantum leap in the world of business technology. Although it’s pretty unclear as to whether any of the approaching gadgets will indeed change the world, yet they are undoubtedly some of the most highly anticipated business technologies that are going to change the way of business in 2015. 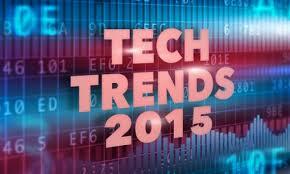 Let’s have a look at some of the business technologies that we can expect by 2015. Presentations while you’re on travel will go through a massive change in 2015, thanks to the smallest projector of the world. This is a tiny projector that eliminates the need to move around with heavy equipment’s and also does away with paying to get projection equipment delivered at the site of presentation. This awesome brain-child of Sekonix, known as the DLP Keychain projector has the ability to work with tablets, smartphones and PCs through an USB connection. 2015 is highly awaited to be the year of the iWatch. For a couple of months, there have been rumors spinning around about the kind of device it is going to be, its look and its features and of course the date of release. However, Apple hasn’t yet confirmed whether the watch will be available in 2015 but it is pretty clear that 2015 will be the year of embracing this breakthrough technology. Yes, it’s true that no discussion of new technology can be complete without a Google Glass. The Google Glass has been discovered and few selected ‘Explorers” have access to this product by 2015. For most businesses, this means getting access to a smart device that allows the internet and innumerable features of smartphone right in front of your eyes as you see the world around you. Sales professionals can instantly see a file of a client by looking at that person, factory workers can access all kinds of instructions right through the Google Glasses. The only factor that is left to determine is how the businesses will make the most out of this device. When HTML 5 hits the market in 2015, it is all set to become a vital technology for most of the major organizations today. Due to the invention of this new system, web development tools will grow along with the popularity of mobile Web and some other hybrid applications. Delivering applications through multiple platforms will become simpler and easier for businesses by the usage of HTML 5. Hence, if you’re earnestly waiting for the best gadgets of 2015, you can take into account the above mentioned ones. Technological advancements are occuring at a fast pace and this is the reason behind the prosperity of most businesses.